HomeBlogVictron Energy people: Who is Andre du Rand? Victron Energy people: Who is Andre du Rand? My name is Andre du Rand. 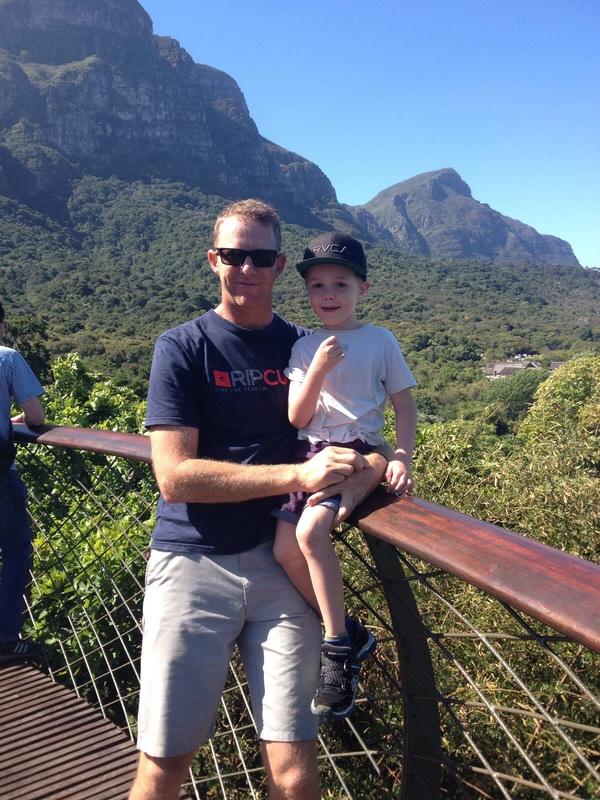 I live in Cape Town, South Africa with my family. We, Ilze, Kris and I like to drive around the Cape Town Winelands and surrounding areas over weekends. We also love wine and frequently go wine tasting. I travel quite a bit so I like to get away with my family and relax whenever we have a chance. We also like to spend time at home with friends and family having a good old traditional braai (barbeque). 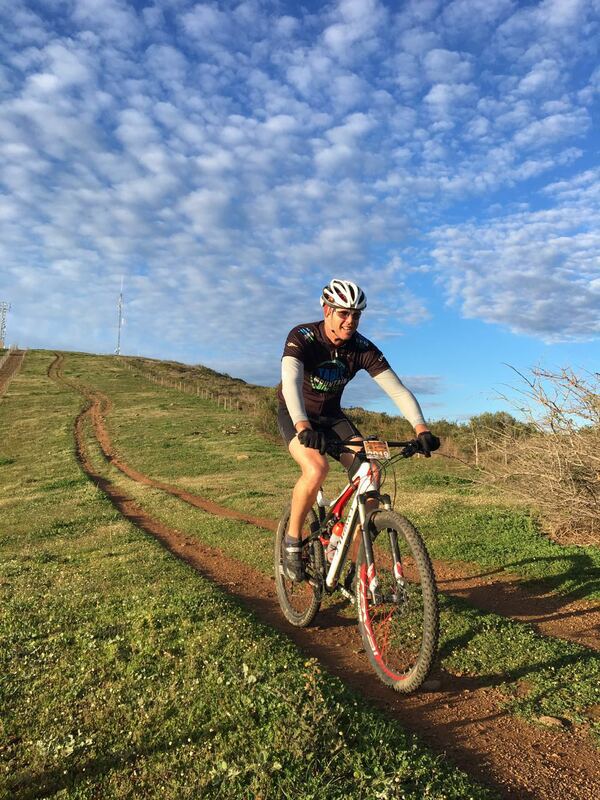 I enjoy Mountain biking very much and enter into MTB races every now and then. I also like to play a round of golf with friends when the opportunity presents itself. I like everything outdoors including camping, hiking and anything adventurous. I attended a technical high school where I had a keen interest in electricity and electric motors; one of my other favourite subjects was technical drawing. After leaving school I completed compulsory national service in the national Army corps. I enjoyed the military and on completion joined the navy to study and see the world. I completed an apprenticeship as marine electrician and was fortunate to be posted to a seagoing vessel soon afterwards. At sea I made many friends with whom I travelled and worked. Often working on ships was challenging as planning and maintenance was the key to a successful journey. When repairing or fault-finding on-board systems your practical and theoretical knowledge are tested thoroughly. I learned to be independent and gained valuable experience working on my own and with my seniors on board the vessels on which I served. I’ve worked on a few Victron battery chargers in my time at sea and that is how I first got to know Victron as a company. I have seen Victron Energy grow from where it was 17 years ago to where it is today. I started my journey with Victron Energy 7 years ago when I was appointed as an Area Manager for the Southern African region. Today my area stretches from Angola, Namibia, Botswana, and Zimbabwe to Mozambique and also includes Mauritius and Seychelles. It’s an interesting area with diverse cultures and people. Fellow sales manager Gerrit Tromp is also responsible for South Africa. I spend a lot of time training Victron dealers and installers. This year we are focussing on Authorized solar system installers and other markets like the 4×4 and commercial automotive applications. The off-grid market here is growing as our product range changes with our customer’s needs. With such a diverse product range it’s always exciting to find new applications for them. The Victron Energy team is truly dynamic from leadership to service and support. In my opinion there is no other company that can deliver products like ours in so many different markets. And with our very latest products we are again providing unique and more versatile solutions to our customers across various markets. Young Solar Challenge - Stage 2 results!